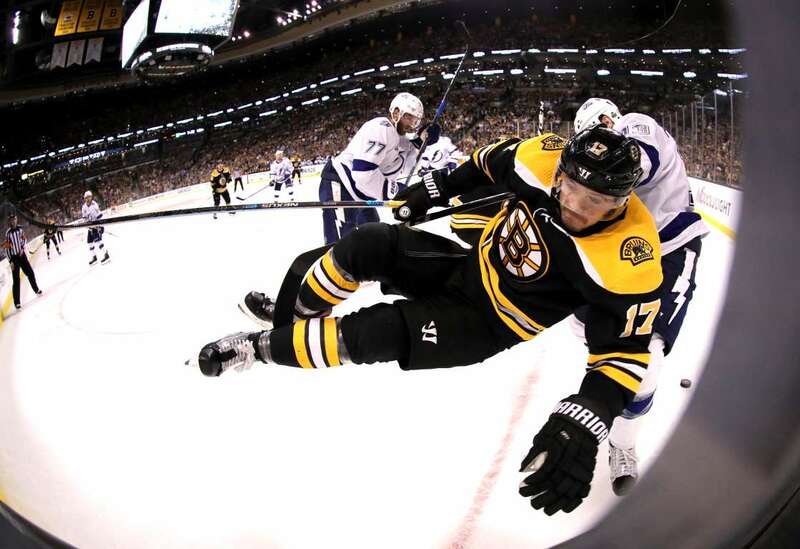 Cedric Paquette of the Lightning, checks Ryan Donato (17) of the Bruins, into the boards, on Friday in Boston, MA. The Lightning won 4-3. Photos - U.S. Daily News: Check, mate!